DON'T LET THE FRONT MISLEAD YOU! Much larger than looks! Long paved driveway, upgrade throughout! 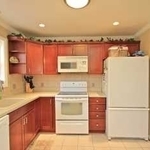 Basement fully finished with bedroom, full bath, and separate entrance (rental income potential). A huge deck with stamped concrete patio, fenced in private, treed backyard. Located in desirable North Stafford. 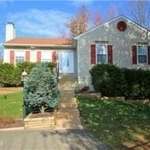 Very close to Quantico, commuter lots, and shopping. NTC 5th BR. Owner's Name: MICHELLE "MISSY" W.